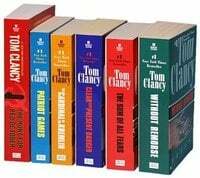 Jack Ryan Reading Order: How to read Tom Clancy's books? Dr. John Patrick “Jack” Ryan, Sr., KCVO (Hon. ), Ph.D. is a character created by Tom Clancy. When we met him, he is a high-level CIA analyst and a former Marine. His career won’t stop here. In fact, Ryan will go up the chain. 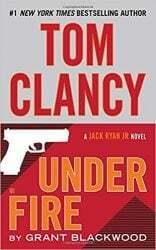 Clancy made Ryan one of his most famous creation, putting him in a few books before continuing with Jack Ryan Jr. The Ryan family never stop and a full universe was developed all around the father and the son. You can put their stories in the spy/techno-thriller genre. Sadly, Tom Clancy died in 2013, but Mark Greaney pick up where he left off and is still publishing new Jack Ryan, jr. novels on a regular basis. In my opinion, the best way to be introduced to Jack Ryan is to begin with The Hunt for Red October. It was the first book published with Jack Ryan. That said, I propose you here a chronological reading order. I’ll add in the end the publication order. Without Remorse, by Tom Clancy – This novel doesn’t resolve around Jack Ryan, but John Clark. Set during the Vietnam War, in the city of Baltimore, the book tells the origin of Clark and alternates between two major story arcs. In one of them, we met Emmet Ryan, the father of Jack. Clarke is a recurring character in the Ryan novels. Patriot Games, by Tom Clancy – In an explosive wave of violence, an ultra-left-wing faction of the IRA is hunting one man for his act of salvation in an attempted assassination. And now Jack Ryan must pay with his life. Red Rabbit, by Tom Clancy – When Jack Ryan joins the CIA as an analyst he is thrust into a world of political intrigue and conspiracy. Stationed in England, he quickly finds himself debriefing a Soviet defector with an extraordinary story to tell: senior Russian officials are plotting to assassinate Pope John Paul II. The Hunt for Red October, by Tom Clancy – During the Cold War, Marko Alexandrovich Ramius, a Lithuanian submarine commander in the Soviet Navy, intends to defect to the United States with his officers on board the experimental nuclear submarine Red October. The entire Soviet Atlantic Fleet is ordered to hunt down the submarine and destroy her at all costs. The Americans are determined to find her first and get her safely to port in the intelligence coups of all time. The Cardinal of the Kremlin, by Tom Clancy – Two men possess vital data on Russia’s Star Wars missile defense system. One of them is CARDINAL – America’s highest agent in the Kremlin – and he’s about to be terminated by the KGB. The other is the one American who can save CARDINAL and lead the world to the brink of peace or war. Clear and Present Danger, by Tom Clancy – Colombian drug lords have assassinated the American Ambassador and the visiting head of the FBI. The decision is made to send undercover teams into Colombia. Back in the USA, men armed with the most sophisticated tools their country can devise prepare to take the fight to the enemy. But does anyone know who the real enemy is? Jack Ryan and CIA field officer John Clark must find the answer. The Sum of All Fears, by Tom Clancy – Deputy Director of the CIA Jack Ryan lays the groundwork for a peace plan that could end centuries of conflict in the Middle East. But ruthless terrorists have their hands on a nuclear weapon and have placed it on American soil in the midst of an escalation in tension with the Soviet Union. The terrorists hope to rekindle cold war animosity and prevent reconciliation between Israelis and Palestinians. Debt of Honor, by Tom Clancy – Razio Yamata, one of Japan’s most influential industrialists, has devised a plan to cripple America. When the faulty gas tank on one Tennessee family’s car leads to their fiery death, an opportunistic U. S. congressman uses the occasion to rush a new trade law through the system. The law is designed to squeeze Japan economically. Instead, it provides Yamata with the leverage he needs to put his plan into action. There’s only one man to find out who the culprit is Jack Ryan, the new President’s National Security Advisor. 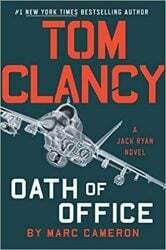 Executive Orders, by Tom Clancy – Jack Ryan had agreed to accept the vice-presidency only as a caretaker for a year, and now, suddenly an incalculable weight has fallen on his shoulders. How do you run a government without a government? Where do you even begin? With stunning force, Ryan’s responsibilities crush on him. He must calm an anxious and grieving nation, allay the skepticism of the world’s leaders, conduct a swift investigation of the tragedy, and arrange a massive state funeral – all while attempting to reconstitute a Cabinet and a Congress with the greatest possible speed. Rainbow Six, by Tom Clancy – Several NATO countries have collectively organized an elite counter terrorist unit named Rainbow composed of the best soldiers from the militaries of several nations. The team is led by John Clark must face a group of terrorists like none the world has ever encountered before, a band of men and women so extreme that their success could literally mean the end of life on this earth as we know it. The Bear and the Dragon, by Tom Clancy – A high-level assassination attempt in Russia has the newly elected Ryan sending his most trusted eyes and ears – including antiterrorism specialist John Clark – to Moscow, for he fears the worst is yet to come. The Teeth of the Tiger, by Tom Clancy – Jack Ryan Jr. is recruited by the Campus, an “off-the-books” intelligence agency, as an analyst. He finds that nothing has prepared him for what he is about to encounter. For it is indeed a different world out there, and in here… and it is about to become far more dangerous. Dead or Alive, by Tom Clancy with Grant Blackwood – Now covert intelligence expert Jack Ryan Jr. and his compatriots at The Campus have come up against their greatest foe: a sadistic killer known as the Emir. Mastermind of countless horrific attacks, the Emir has eluded capture by every law enforcement agency in the world. But his greatest devastation is yet to be unleashed as he plans a monumental strike at the heart of America. Locked On, by Tom Clancy with Mark Greaney – A devout enemy of Jack, Sr. launches a privately-funded vendetta to discredit him and connect him to a mysterious killing in his longtime ally John Clark’s past. With Clark on the run, it’s up to Jack, Jr. to stop a growing threat emerging in the Middle East, where a corrupt Pakistani general has entered into a deadly pact with a fanatical terrorist to procure four nuclear warheads they can use to blackmail any world power into submission or face annihilation. Threat Vector, by Tom Clancy with Mark Greaney – The Campus has been discovered. And whoever knows they exist knows they can be destroyed. Meanwhile, President Jack Ryan has been swept back into the Oval Office – and his wisdom and courage are needed more desperately than ever. Command Authority, by Tom Clancy with Mark Greaney – When a family friend of Ryan’s is poisoned by a radioactive agent, the trail leads to Russia. 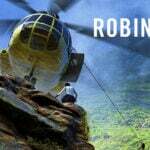 And Jack Ryan Jr. – aided by his compatriots John Clark and the covert warriors of the secretive Campus – must delve into an international conflict thirty years in the making, and finish what his father started. Support and Defend, by Mark Greaney – Ethan Ross was a mid-level staffer for the National Security Council. Now he’s a wanted fugitive on the run with a microdrive that contains enough information to destroy American intelligence efforts around the world. The CIA is desperate to get the drive back before it’s captured by the Russians or one of the various terrorist groups also vying for it. Full Force and Effect, by Mark Greaney – A North Korean ICBM crashes into the Sea of Japan. A veteran CIA officer is murdered in Ho Chi Minh City, and a package of forged documents goes missing. The pieces are there, but assembling the puzzle will cost Jack Ryan, Jr., and his fellow Campus agents precious time they don’t have. Under Fire, by Grant Blackwood – On a mission in Tehran, Jack Ryan, Jr., meets his oldest friend, Seth Gregory. As they part, Seth slips Jack a key, along with a perplexing message. The next day Jack is summoned to an apartment where two men claim Seth has disappeared with funds for a vital intelligence operation. They say he’s turned and leave Jack with a warning: If you hear from Seth, call us. Do not get involved. Commander in Chief, by Tom Clancy – When the desperate Russian president launches an all-out covert violent offensive into order to push the world into chaos and regain the power his once-mighty country has lost, it’s up to U.S. President Jack Ryan and all of his allies to stop the madman’s grand plan of global conflict and conquest. Duty and Honor, by Grant Blackwood – Jack Ryan, Jr., is on his own. He’s been ousted from his position at the Campus. As if that’s not bad enough, someone is out for Jack’s blood. The police think that he was just the victim of a mugging, but he knows a professional assassin when he kills one. True Faith and Allegiance, by Mark Greaney – As more deadly events involving American military and intelligence personnel follow, all over the globe, it becomes clear that there has been some kind of massive information breach and that a wide array of America’s most dangerous enemies have made a weapon of the stolen data. With U.S. intelligence agencies potentially compromised, it’s up to John Clark and the rest of The Campus to track the leak to its source. Point of Contact, by Mike Maden – Former U.S. Senator Weston Rhodes is a defense contractor with an urgent problem. His company needs someone to look over the books of Dalfan Technologies, a Singapore company—quickly. He turns to his old friend Gerry Hendley for help. Hendley Associates is one of the best financial analysis firms in the country and the cover for The Campus. Rhodes asks for two specific analysts, Jack Ryan Jr., and Paul Brown, a mild-mannered forensic accountant. Power and Empire, by Marc Cameron – Jack Ryan is dealing with an aggressive challenge from the Chinese government. Pawns are being moved around a global chessboard: an attack on an oil platform, a terrorist strike on an American destroyer and a storm tossed American spy ship. It seems that President Zhao is determined to limit Ryan’s choices in the upcoming G20 negotiations. 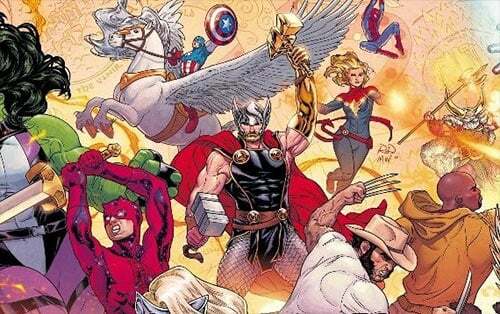 But there are hints that there’s even more going on behind the scene. Line of Sight, by Mike Maden – Twenty-six years ago, Dr. Cathy Ryan restored the eyesight of a young Bosnian girl who had been injured during an attack in the Bosnian War. Today, her son, Jack Ryan Jr. has agreed to track down the young woman and deliver a letter from his mother. What he finds shocks them both. Oath of Office, by Marc Cameron – Freedom may have finally arrived in Iran. As protests break out across the country, the media rejoices over the so-called Persian Spring. Western leaders are ecstatic. Members of Congress and the Cabinet clamor to back the rebels. Only President Jack Ryan remains wary. Meanwhile, a deadly strain of flu is ravaging the United States as spring floods decimate the Southeast. Enemy Contact, by Mike Maden – The CIA’s deepest secrets are being given away for a larger agenda that will undermine the entire Western intelligence community. Director of National Intelligence Mary Pat Foley wants it stopped but doesn’t know who, how or why. Jack Ryan, Jr., is dispatched to Poland on a different mission. 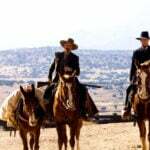 The clues are thin, and the sketchy trail dead ends in a harrowing fight where he barely escapes with his life. Code of Honor, by Marc Cameron – Father Pat West, S.J. was a buddy of the young Jack Ryan when they were both undergraduates. Father West left a comfortable to work with the poor in Indonesia. Now he’s been arrested and accused of blasphemy against Islam. President Ryan is desperate to rescue his old friend, but he can’t move officially against the Indonesians. Instead he relies on the Campus team to find out who is framing the priest. 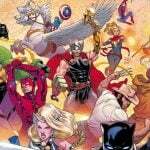 How to read the Inhumans Vs X-Men Marvel event? The Last Kingdom Books in Order: How to read Bernard Cornwell Saxon Tales series? Thanks for making the reading list order. I hunted for this many years ago and didn’t find it. I made my own … but it wasn’t as complete as yours. I don’t know if you have contact with the managing editor for Jack Ryan. Something that would be absolutely wonderful would be a pdf (better yet a data base) which has ALL of the Jack Ryan series that Clancy actually wrote (vs. those those authors which are extending the series.). Then a person could search, like a concordance for the bible, for all the details. One of Clancy’s strengths beyond most authors is his ability to establish a character and build them throughout the whole series. They become friends, co-workers, enemies of the reader. Every few years I read all the novels in chronology order from Without Remorse to the last. Thanks again. Thank you so much for putting these in order for us, but there is one book which I am confused as to where it belongs in either the Jack Ryan or Jack Ryan Jr. universe, and that is “Against All Enemies”. Can you tell us where you think this one belongs. Against all enemies is a stand-alone novel , not related to the jack Ryan series. Against all Enemies is not a complete stand alone like Red Storm Rising. Against All Enemies introduces Max Moore as a character (who would’ve also appeared in the canceled Search and Destroy) into the Ryanverse. At the end Dominic Caruso from the Campus makes an appearance and attempts to recruit Moore thus placing the book in the Ryanverse. Thank You for putting the list order of tom clancy’s jack ryan series, now i can complete my reading collection. It would be deeply appreciated if one of these days you could also make it an on line reading. I would also like to say thanks a lot. Just started reading the books again. This time one right after the other. Another great author was Vince Flynn with the Mitch Rapp series. Plan to read them after I finish with the Jack Ryan books. As for against all enemies, that is a stand alone book. Pretty sure Jack Ryan is not in it. Where does LINE OF SIGHT fit in? hi. 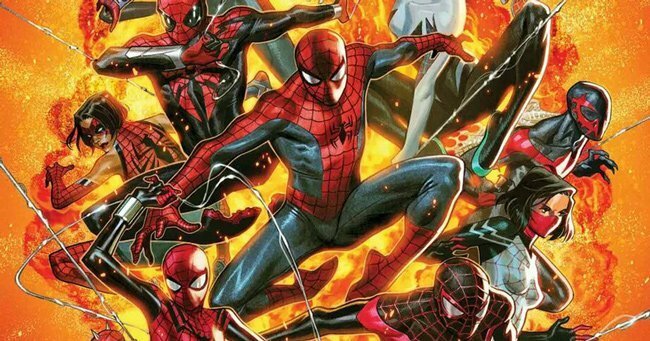 is there any chance that the entire collection will be available on kindle, as at present only a few are . regards bob. What about my favorite, Red Storm Rising??? Red Storm Rising is not part of the Jack Ryan universe. This is kind of true but also, there is a character from Red Storm Rising that makes further appearances throughout the books in the series. Bondarenko, he was in Red Storm Rising, The Cardinal of the Kremlin, Executive Orders, etc. So, while technically not a Jack Ryan novel, it is tied in to the series. Thank you for the reading order. There seems to be a big gap between the latter half of his presidency, Robbie taking over, getting killed, etc, etc. Did I miss a book, or was this in the era when he was getting sick, ??? What about Against All Enemies? In one book of the Jack Ryan Jr series, Gavin said to Jack something about jacks never having read a specific, and I assume techno thriller, author . Anyone remember that author’s name? True, but in Red Rabbit, they refer to Jack as Sir John. He was knighted in Patriot Games. Currently reading OATH OF OFFICE; clearly a Jack Ryan era novel, but it is unlisted in the reading order. Where should it be placed? I’ve been wanting to read through Tom Clancy’s novel for a while. Years ago I read Patriot Games and Clear And Present Danger. Wanting to read all of his works, I’m trying to decide if I want to start with the order of publication or chronological order. I’m thinking if I had read them back in the day it would have been Chronological of course.